In an effort to improve the interaction and cooperation between doctors, nurses and paramedics, inter-professional team meetings have been implemented for students at the Zuyd University of Applied Sciences and Maastricht University. As the benefits and challenges of this way of working have recently been thoroughly assessed and evaluated, the results are now ready to be shared and discussed. The Amsterdam University of Applied Sciences – Faculty of Health and the Academic Medical Center joined forces to develop the ‘I, WE, TOGETHER’ training programme for 1st to 4th year medical students, aimed at enhancing interprofessional team-based communication and decision making, shared team responsibilities and the integration of vocational expertise. 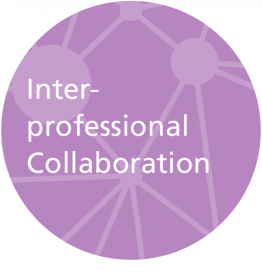 This talk highlights 12 recommendations for implementing interprofessional education, based on the experiences of the IPE steering group. This talk covers the lessons learned during the six-year development of the s-called Centres for Expertise, public-private partnerships between universities of applied Science and businesses. Focus of these partnerships are innovating education programs, combining research and education, and focus on valorisation and entrepreneurship. Today, more than 4500 businesses are involved, with the majority of education institutions, bringing the number of Centres to about 30. What did it lead to and what have we learned after six years of experimenting?